Learn how to better manage your time & make the most out of your day! 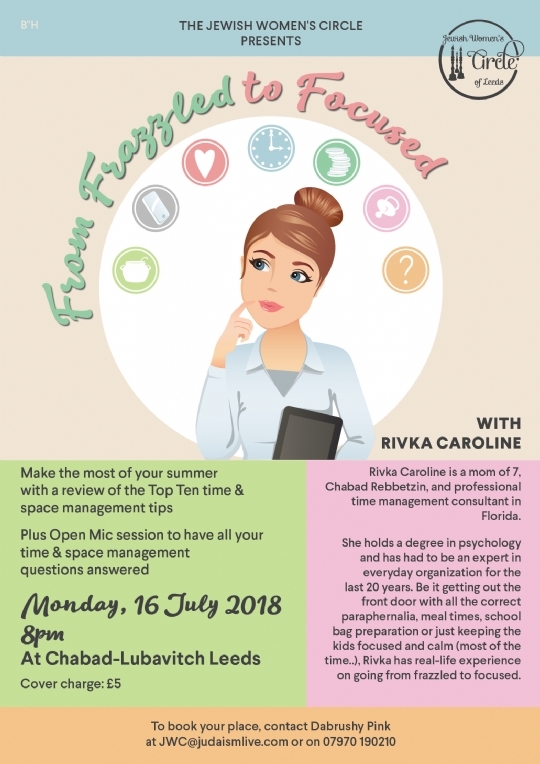 Join us Monday 16th July @ 8pm. To book your place, contact Dabrushy Pink at JWC@judaismlive.com or on 07970 190210. JWC - Shabbat in an hour!